A layout just for me, just for fun. 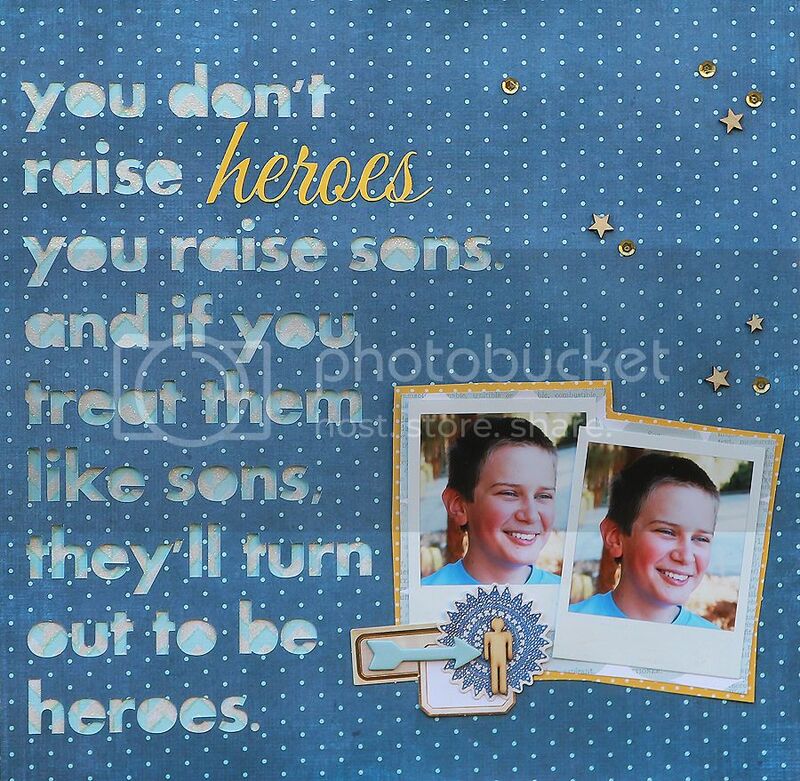 He's 13, and I'm so very proud to be his mom. I can't believe he'll be starting high school in the fall. Oh, and be sure to check out the 3 Birds Studio blog for a weak long National Scrapbook Day celebration! There's sneak peeks of their newest collection, and wow you are going to love it! What a fun way to do a title, I must invest in a silhouette I think! Fabulous sentiment! I love how you cut the design with your Cameo. 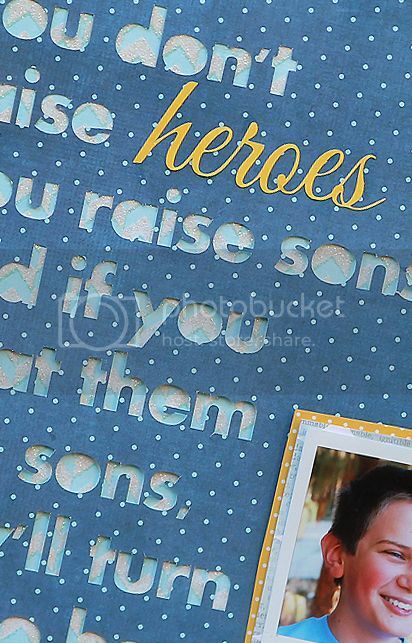 Love the die cut quote, Mary Ann!! Awesome layout of your handsome guy! !